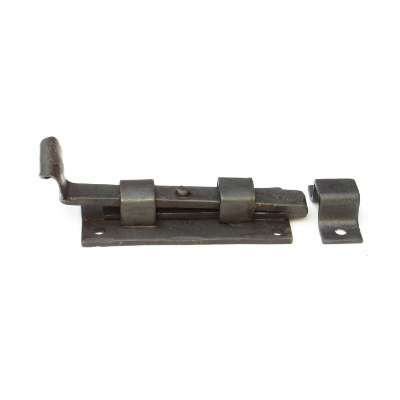 Wrought iron cupboard bolts and door bolts are made traditionally in the forge and finished with a wax coating or black paint. 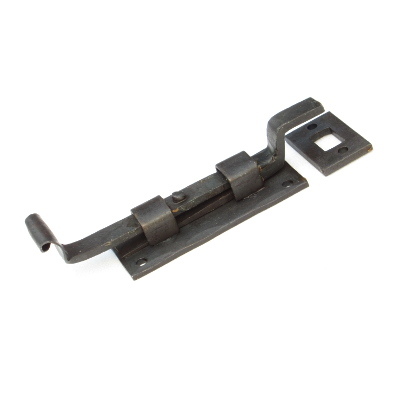 Perfect for additional security, the styles include straight bolts for inward opening doors or cranked bolts for outward opening doors. 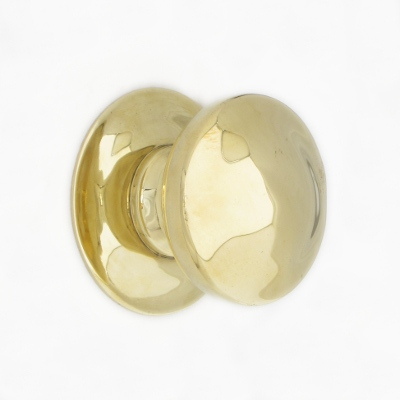 In addition to this range are our brass bolts adding style to period property renovations or home improvements. 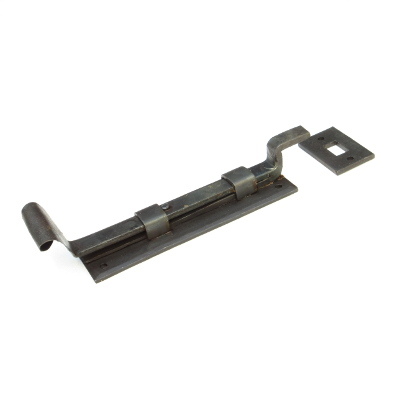 A small black wrought iron fish tail bolt for indoor security, blackened in the forge and finished with a wax coating. Sizes. Plate 90mm (3 1/2") long x 38mm (1 1/2") wide. 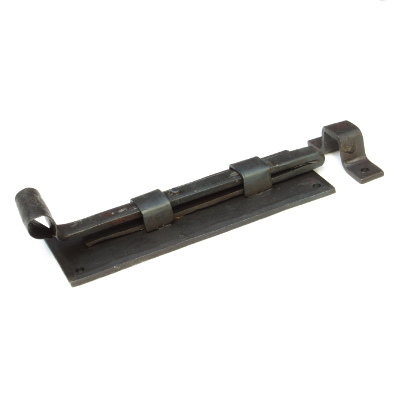 A large black wrought iron fish tail bolt for indoor security, blackened in the forge and finished with a wax coating. Sizes. Plate 153mm (6") long x 57mm (2 1/4") wide. 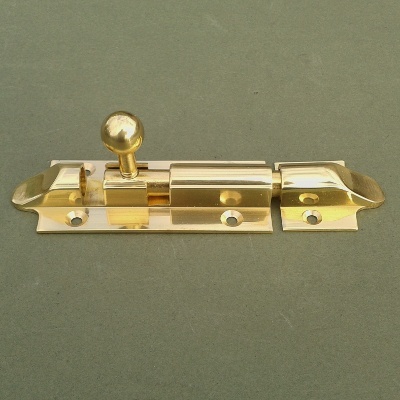 A substantial solid brass arts and crafts style door bolt with a hand polished and aged finish. Size: 152mm (6") x 45mm (1 3/4").